Research efforts validating and informing our models. Our working group is collaborating with two field research efforts that will produce information to validate and inform our connectivity modeling – The Cascades Carnivore Connectivity Project and a landscape connectivity and genetic study on sage grouse in Washington. These projects are described in greater detail below. We also recognize that many other scientific efforts are underway in Washington and neighboring habitat on wildlife that will inform the interpretation of our efforts to date and development of models in the future. 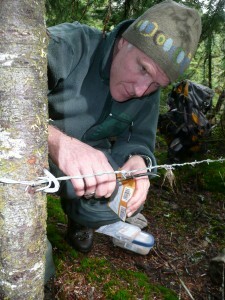 The Cascades Carnivore Connectivity Project (CCCP) is a multi-partner effort to evaluate habitat connectivity for carnivores in the North Cascades Ecosystem (NCE) of Washington. The NCE presents a rare opportunity to host a full complement of native carnivores, including grizzly bears, gray wolves, wolverines, and Canada lynx. Unfortunately, busy transportation corridors can result in fracture zones or barriers to carnivore movement—a scenario that becomes all the more dire in the context of global climate change, which may require major geographical shifts for certain wildlife populations. CCCP is using noninvasive methods to collect DNA samples from American black bears and American martens so that we can assess the barrier effects of I-90, Route 2, and Highway 20 on focal carnivore populations in Washington’s NCE. Our results will not only inform future research, transportation planning, and carnivore conservation in the region, but will also help to validate habitat connectivity models produced by the Washington Wildlife Habitat Connectivity Working Group (WWHCWG). For example, genetic connectivity data collected for martens and black bears will be compared with predicted connectivity results from WWHCWG models. Additionally, detection data for various carnivore species will be overlaid on linkages and habitat concentration areas mapped by WWHCWG in an effort to evaluate how well statewide connectivity models correspond with species locations. Visit their website to learn more. 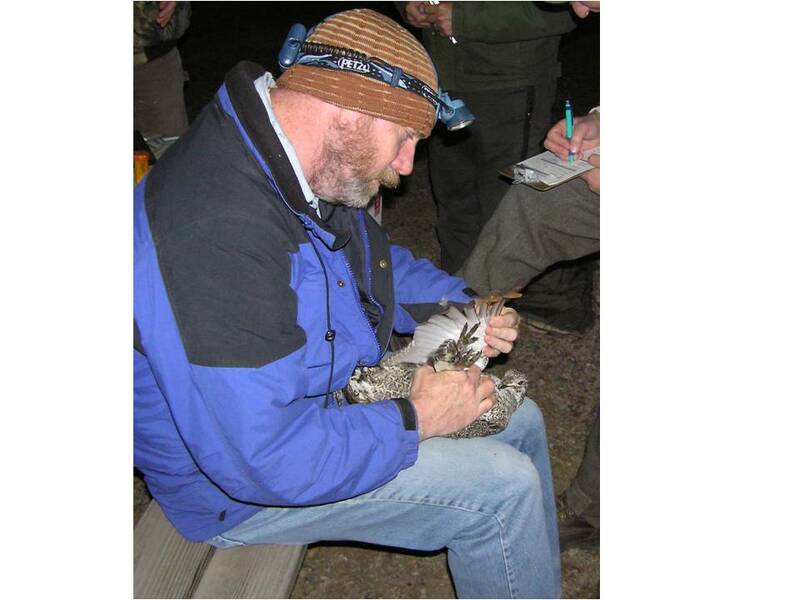 Michael Schroeder handling a Greater Sage-Grouse captured by spot-lighting at night. meadow-steppe communities of eastern Washington. Currently, the state has two relatively isolated breeding populations; one in Douglas-Grant Counties, and one in Kittitas-Yakima Counties. 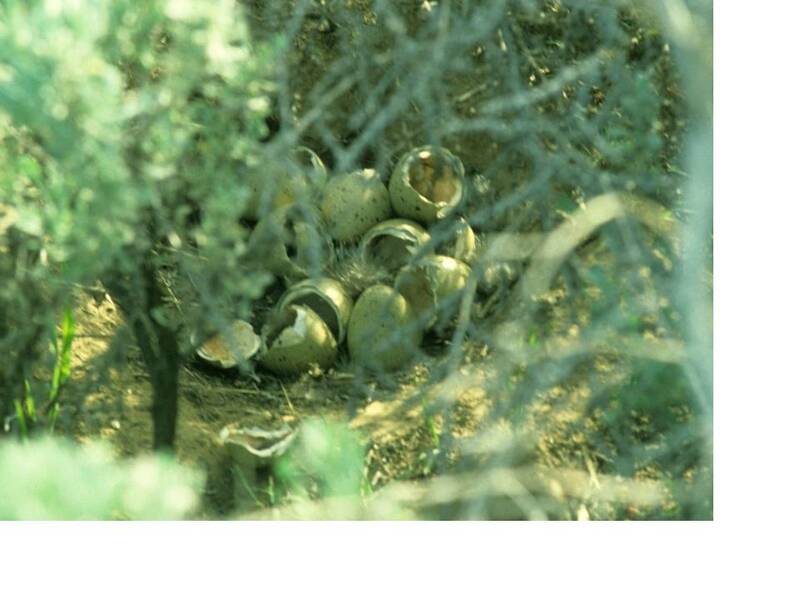 Greater sage-grouse have also been translocated to Yakima and Lincoln counties, but it is too early to document the success of those efforts. Greater Sage-Grouse were chosen as a focal species for connectivity modeling in the WHCWG statewide analysis because they have large home ranges, are capable of extensive movements, and use a mosaic of habitat patch sizes within the sagebrush ecosystem. Additionally, they are sensitive to disturbance from human activities as well as the configuration and juxtaposition of suitable habitat in the landscape. Species based connectivity models make fundamental assumptions as to how animals perceive and move through the landscape. For instance, even though we often record dispersal movements as straight-line distances, we know that animals make pathway decisions influenced by habitat resistance. Understanding these patterns of movement through the landscape is important for addressing habitat and population connectivity. Although it is clear that disconnected landscapes may impact movement, they also may have long-term impacts on populations, impacts that can be monitored with genetics. Previous research on Greater Sage-Grouse has shown that genetics can be used to evaluate contemporary and historical population connectivity thus providing a tool to evaluate landscape connectivity models. 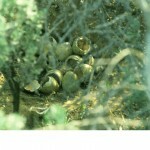 A successfully hatched Greater Sage-Grouse clutch. DNA for genetics research is extracted from egg shell membranes as well as feather and tissue samples. A report “Habitat Occupancy and Movements by Greater Sage-Grouse in Washington State” was prepared in December 2015 summarizing this work that builds upon the suite of products developed for understanding the network of habitat connections for the Columbia Plateau ecoregion.